With Retina Screen and Touch ID! 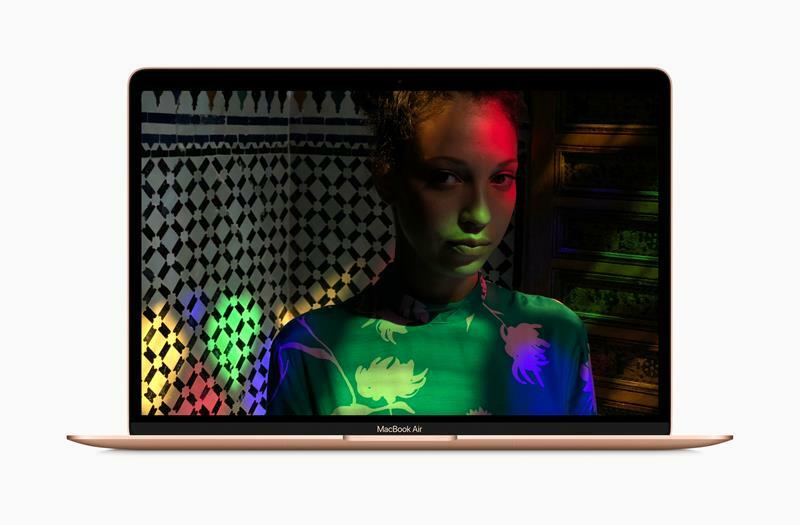 A few days ago, Apple finally revealed the new MacBook Air 2018 at a NY event. I won’t elaborate much on the event per se. We all know that no one can compare to Apple in this respect, a legacy left by the charismatic, in communication issues, Steve Jobs. If we look at Google’s recent event for the presentation of, among others, Pixel 3, Apple’s communication skills are a far cry. To begin with, the choice of location: The Brooklyn Academy Of Music. 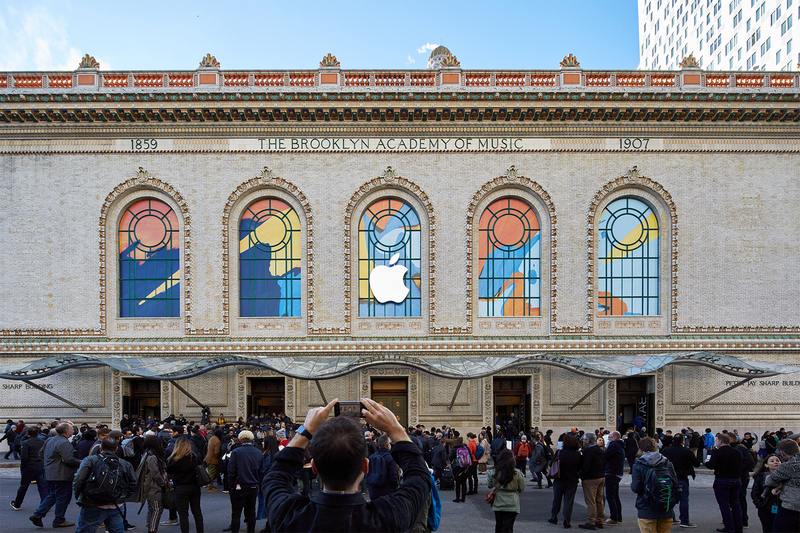 Should you wish to watch the relevant video from the event in New York, you can visit Apple’s specially dedicated page. Frankly speaking, this new era of MacBook Air has been delayed. 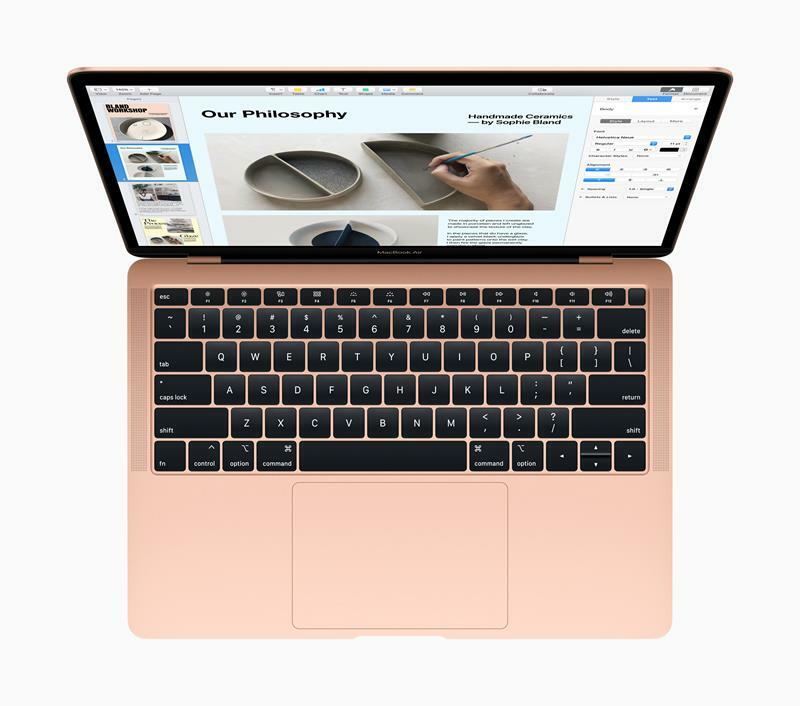 MacBook Air has, in fact, remained stagnant for several years, without any substantial changes, despite being the favorite tool of students or average users in America. All this, of course, until November 7, when the renewed model reaches the stores. With an initial price at $1199 for the basic model, my prediction is that, not only will the shelves be emptied relatively quickly but those first items won’t even reach the warehouse! This could, of course, result in a drop in the resale price of older versions of MacBook Air. The new MacBook Air is made of 100% recycled aluminum, in three colors, Gold, Silver, and Space Gray. The screen is 13.3 inch IPS Retina (at last), with a maximum resolution of 2560×1600. The processor is the 8th generation i5 Intel dual core at 1.6GHz with Turbo Boost capability at 3.6GHz and 4MB L3 cache. The basic model comes with 8GB RAM at 2.133MHz and 128GB SSD, with RAM capable of reaching 16GB and available hard disk 256GB, 512GB, and 1.5TB respectively. Its size is 17% smaller and 10% thinner than its predecessor and weighs 1.24KG. 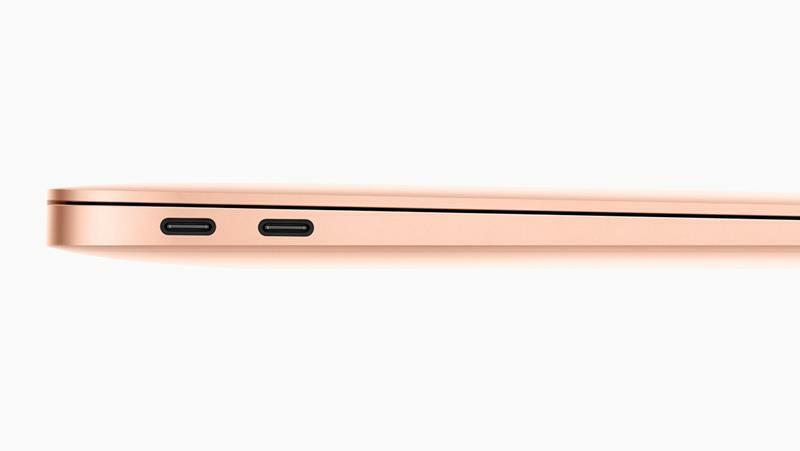 On the left side, we find the two Thunderbolt 3 (USB-C) ports, which, apart from charging the MacBook, are also used for connecting the computer to external drives and various other devices along with external monitors. The Intel UHD Graphics 617 can support a 5120×2880 screen at 60Hz. Now, bear in mind that if you want to connect a second external monitor simultaneously, the resolution will be limited to 4096×2304 at 60Hz. Other than that, the renewed speakers come with 25% more power and 2 times higher bass. The 3Array Mic, together with the 720p HD Facetime camera, ensure unobstructed communication. One of the biggest changes we’ve seen is definitely the brand new Force Touch Trackpad, 20% larger than previous releases. Along in the list come the new generation butterfly keyboard, low power LEDs, and the ambient light sensor. With regard to security, we have the Touch ID to unlock the computer without the need of a password, a feature supported by the Apple T2 Security Chip. With T2, Apple has added on-the-fly data encryption to both the hard drive and the well-known Siri. TheT2 Always-On- processor is ready to recognize us and follow our instructions at any time. 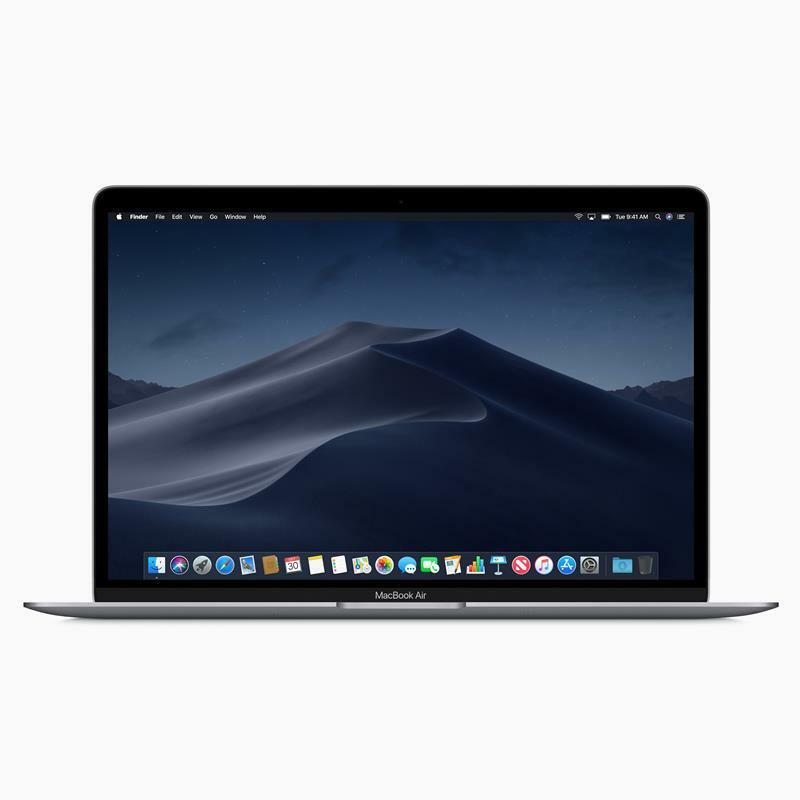 Taking into account its All-day battery, translating to roughly twelve hours of continuous operation and several days of standby, and the new Mojave, there’s no doubt we’re talking about a great computer. It’s not a gaming or performance laptop nevertheless. It is a tool for anyone who wants a computer meeting daily needs, but with exceptional comfort and speed. Quality is given and the size simply makes you forget that you’re carrying it with you. I’m aware that Apple’s critics will argue that it is unnecessarily expensive, like all of its products. Probably they’re somewhat right. On the other hand, all I have to say is that I just wrote this article on a 2010 MacBook Air, experiencing the same comfort and speed as if I just removed it from its box. I’m wondering how many other laptops we can say the same for.